Striking red and green designs to use on your Christmas table. 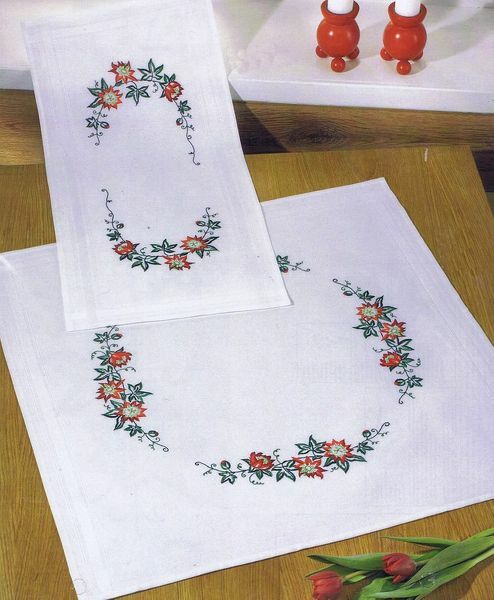 The kit has a 100% cotton white table cover hemmed with a deep woven border and printed with the design outline. The finished cover is hand washable at 40 degrees. 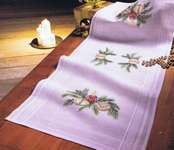 The surface embroidery is worked in satin stitch, long and short stitch, stem stitch and long stitches using seven shades of stranded cottons.